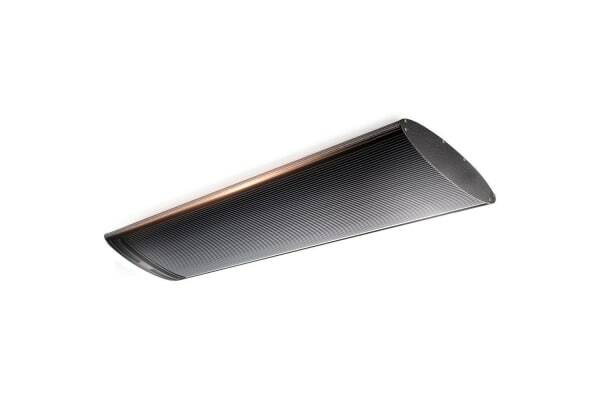 The BIO Design Spectra 18 is a premium infrared outdoor strip heater with modern minimalist aesthetics which looks stylish on any wall or ceiling. Delivering super efficient heating any time of the year, enjoy a warm and cosy atmosphere while socialising with family and friends. Easy to integrate into any outdoor living space, the Spectra 18 promises silent and maintenance-free operation. 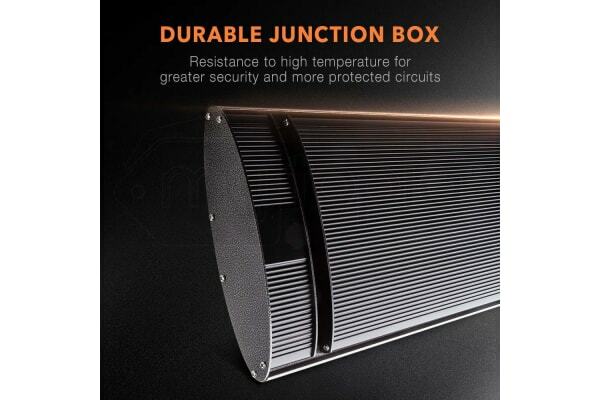 Equipped with a lead and plug for simple installation, the electric heater is designed with a swivel brackets to allow for the flexibility to mount to almost anywhere undercover on walls, ceilings or beams and is operated using a single switch activation. With the durable junction box, the Spectra 18 offers better resistance to high temperature for greater security and more protected circuits. A 1800 watt electric element is embedded in the black anodised aluminium strip that rapidly produces even and gentle heat dispersion. Plus, unlike gas heaters there is no glow or glare, and no need to refuel – providing huge running costs savings. Keep yourself warm especially through the coolest months of the year. 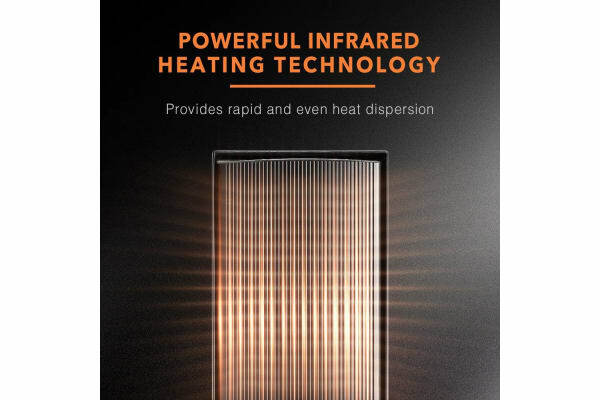 Buy a BIO Design Spectra 18 Radiant Strip Heater today!